Rs. 79 billion has been allocated for investment in public transport across numerous modes including bus, rail, and light rail. Investment in public transport is identified as a key priority to ensure high quality public service delivery, and to minimize the inefficiencies caused due to inadequate and poorly planned public transport systems. The envisaged reforms include introduction of technology to drive efficiencies and service delivery, whilst expanding access to higher quality public transport as well. The Colombo City Light Rail Transit will commence in 2019 for which Rs. 5 billion is allocated. Multi-modal passenger terminals will be implemented in Makumbura, Kandy, Kadawatha, Pettah, and Moratuwa. A joint bus operation control centre will be established to improve public transport services and Rs. 1.3 billion has been allocated for this. The Sahasara Bus Modernisation programme will enable bus drivers to be paid on a per kilometer basis – this will help manage the competition in the sector that has led to reckless driving and poor public service delivery. Pre-paid fare cards, electronic GPS tracking and digital bus schedules will be introduced to facilitate passengers and improve service delivery. The SLTB fleet will be expanded and modernized to improve services to users – this includes buses with special needs facilities. An enterprise loan scheme will be introduced to support private bus fleet modernization as well. The government will bear 75% of the interest cost. Rs. 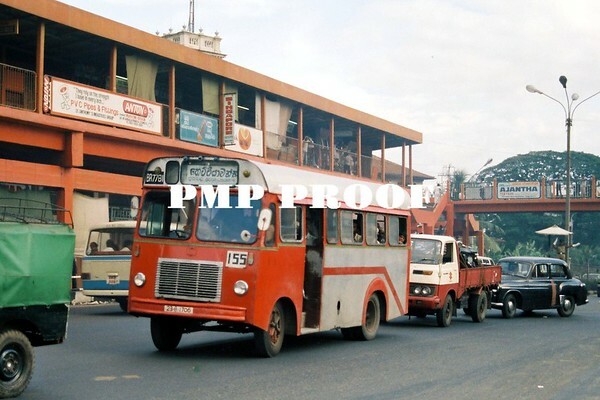 13.5 billion is allocated for public investment in railways lines across the country including the Colombo suburban railway improvement project and the Matara-Kataragama railway line to connect the Southern Province. The private sector will be encouraged to lease/rent Sri Lanka Railways carriages in order to optimize asset utilization and improve facilities on the 4 main lines. A billion rupees has also been allocated to improve sanitation facilities in railway and bus stations across the country as another measure to improve service delivery in public transport.